Comma-Q is a mighty little ten-person firm. 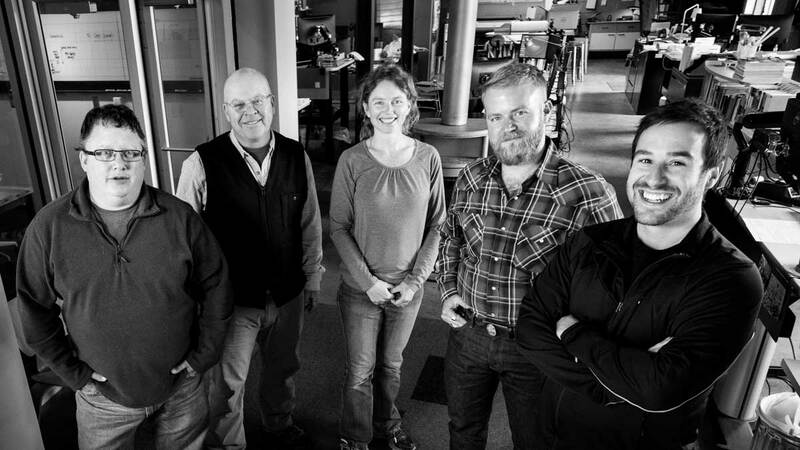 Proudly rooted in Bozeman, all eight members of our technical team have Montana State University emblazoned on their architectural degrees. Five of those eight are Montana registered Architects, for you number crunchers, that’s 5/8, or 62.5%. Our office culture is one of collaboration, where colleagues challenge and support one another. Our Architects are passionate about contributing to the place we call home. Comma-Q is comprised of professionals that are dedicated to preserving what makes Bozeman and Montana unique. Our deep experience is based in sustainable new construction, transformative renovations, historic preservation & adaptive reuse, and thoughtful, community-driven housing. We know our history. Mindful of what came before us, we respect our past while moving our community forward in a thoughtful, sensitive manner. Through our projects, Comma-Q has worked hard to complement Bozeman’s built environment, and it’s about to get even better. Stay tuned for what’s next.